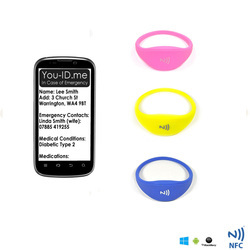 If you choose one of our SILICONE SMART ID wristbands the embedded NFC chip is beneath the NFC logo allowing your profile to be accessed by a 'first responder' using a compatible NFC enabled Smartphone. there are no batteries, ID cards or serviceable parts. It's simple, waterproof, totally durable & effective. 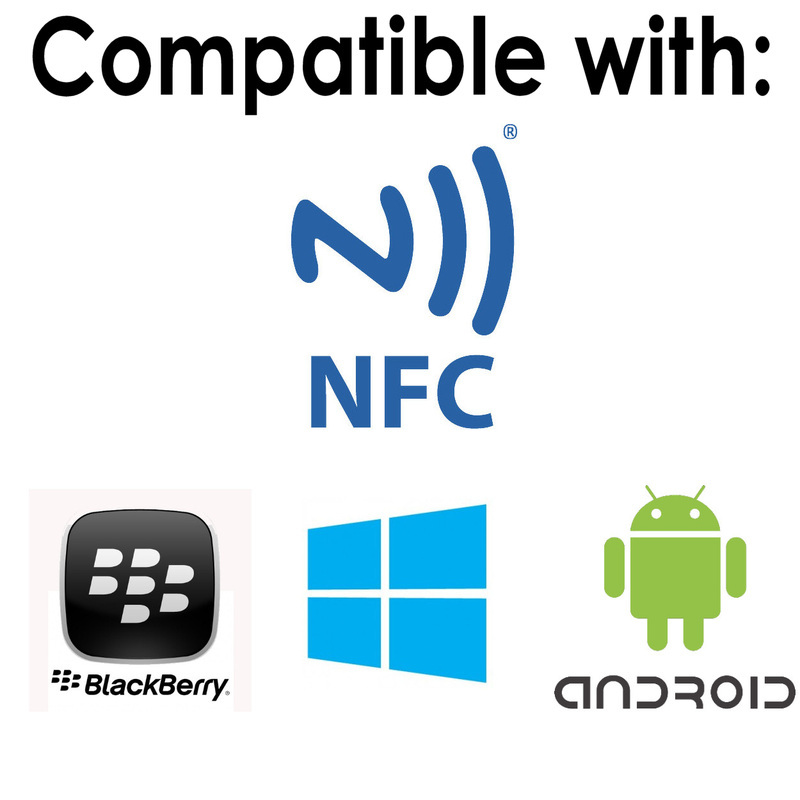 In the event of an accident or emergency, a medic only needs to 'touch' the NFC logo (shown below) on the wristband with a Smartphone and all your vital ID, emergency contact and medical information (your profile) will appear on their screen. ACCIDENT OR EMERGENCY WHAT IF...? They'll instantly access your full ID, CONTACT and ANY MEDICAL information that you have chosen to share in your online profile. "...AND REMEMBER YOU CAN SHARE AS MUCH INFORMATION AS YOU LIKE AND ALTER IT WHENEVER YOU WANT TO." EMERGENCY ID & CONTACT INFO WHAT SHOULD I STORE IN MY PROFILE? You can store as much information as you like- there are no limits. 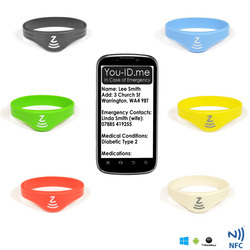 That is why SMART Identity Wristbands are so much better than traditional ID bracelets. 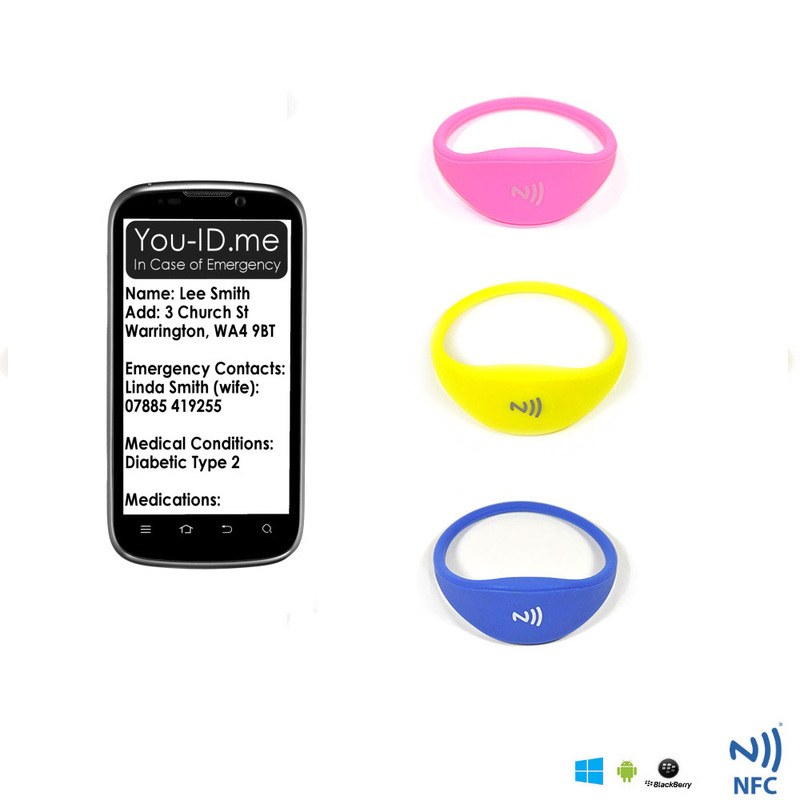 Naturally you'll want to store the most helpful and appropriate life-saving information. Click to enlarge the above example emergency medical profile.